Over the past ten years, Mohawk has catapulted itself to the top of the porcelain tile industry, offering innovative products that redefine the flooring industry. With over 100 years of flooring trade under their belt, this company works hard to produce high quality porcelain tile with durable construction ideal for residential or commercial applications. Featuring dozens of daring tile collections, this superior tile is ideal for cultivating a sense of elegance and class without compromising cutting edge design. Each and every floor provides a firm foundation for fashion-forward styles, making these collections popular among designers from all walks of life. These collections are fast becoming the hottest selling products on the tile flooring market, like the Primabella collection, beautifully blended neutral tones that add elegance and class to any room, regardless of its decor. The Pearlescent Glass collection is a new and vibrant selection of glass mosaics, ideal for creative decorators who want an entirely unique look with a fluid aesthetic that makes your home come alive with color. The Bucaro collection captures a natural stone look, with a rustic influence delivering one-of-a-king realism. If you design tendencies lean toward marble, the Cardenas collection is a beautifully marbled tile available in several neutral shades, making it perfect for a changing color palette. A more dramatic example of this marbled look is elegantly displayed in the Villarreal collection, with a wide range of colors, designs, and sizes to choose from. 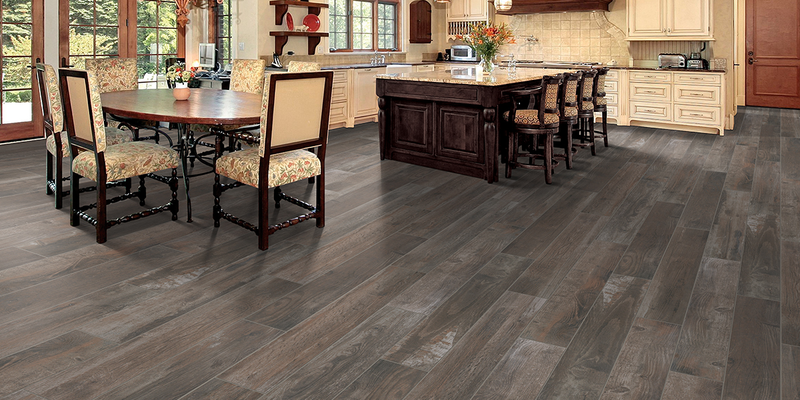 The Gravura collection features gorgeous mixtures of rust, steel gray, and olive for a stunning natural slate look; we recommend these floors with contemporary inspirations, like bold and basic furnishings that incorporate clean lines and vivid colors. Use any of these fine collections from the Mohawk family, and forever be satisfied with its creativity, resiliency, and undeniable charm.